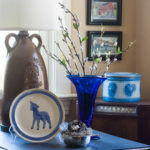 I’ve been busy decorating my home for spring. 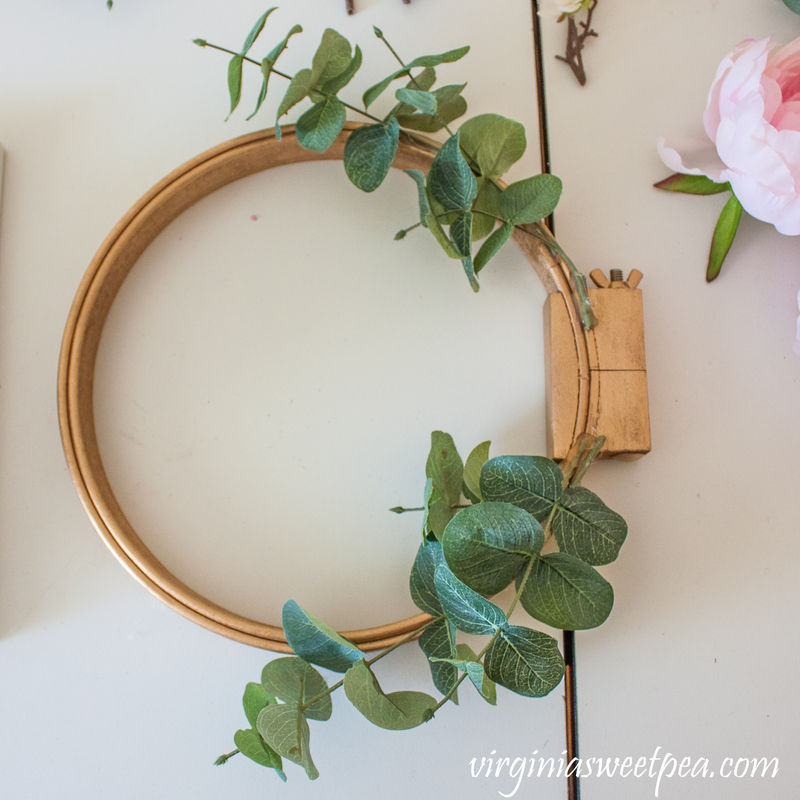 I wanted a new wreath to hang on the mirror over our fireplace and made a DIY Spring Embroidery Hoop Wreath that I love. 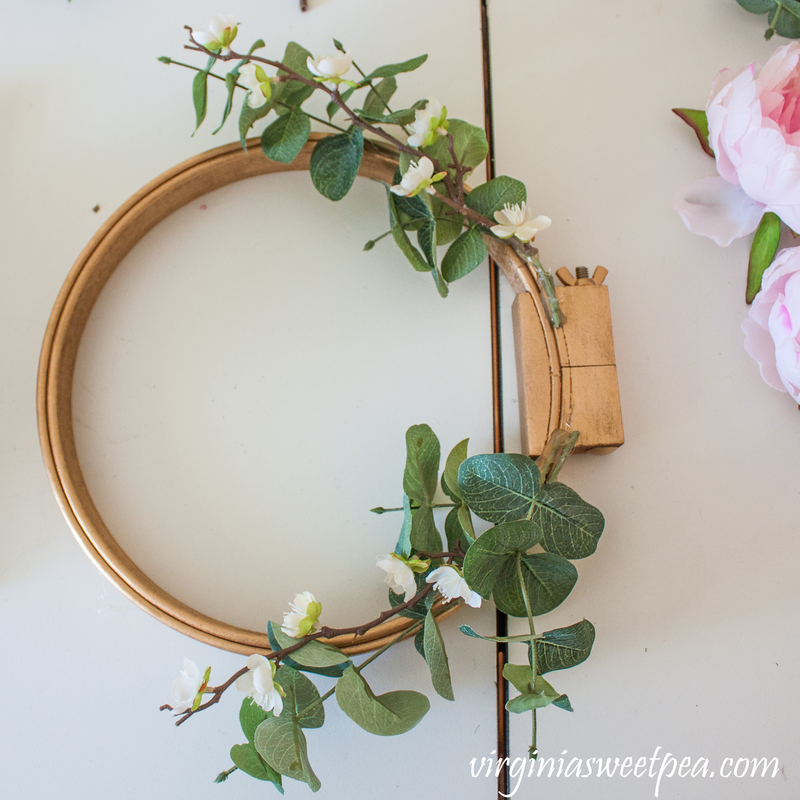 The inspiration for this wreath came from a bag of embroidery hoops that I found in my attic. One of my good friends bought the hoops at a local thrift store knowing that I would find a crafty use for them. 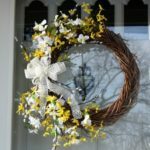 I had forgotten all about them and when I recently found them, I was inspired to make a spring wreath for our mantel. I love how this wreath looks on the mirror over my mantle. The combination of peonies, cherry blossoms, and eucalyptus screams spring to me. 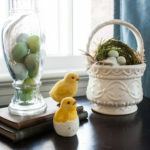 You are also getting a sneak peek of my spring mantel. I’ll share more of it very soon. I’m calling my wreath an embroidery hoop wreath but technically it is a quilting hoop wreath. 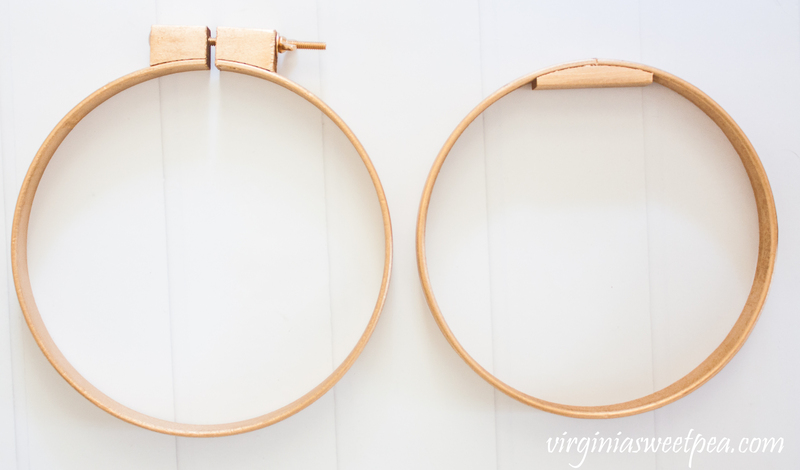 A quilting hoop is thicker and a bit more sturdy than an embroidery hoop. 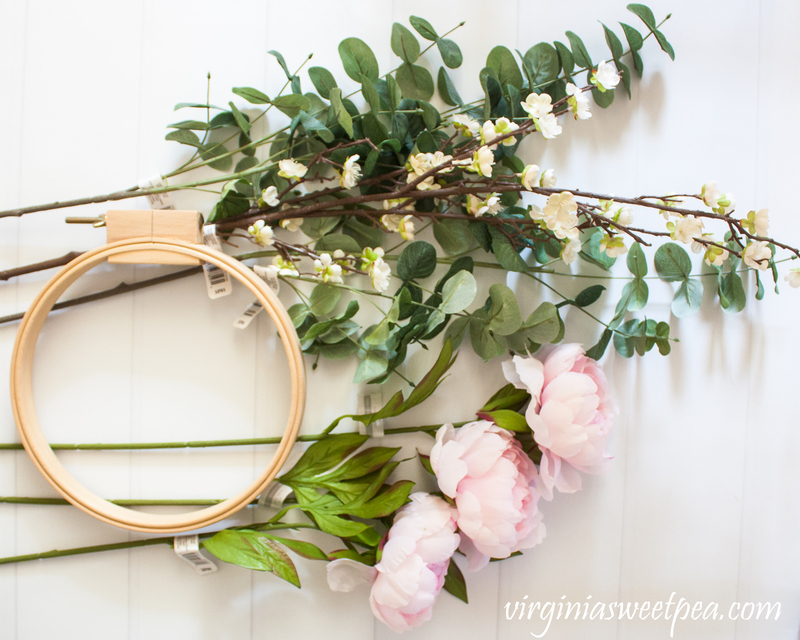 Embroidery Hoop or Quilting Hoop – I used a 10″ quilting hoop. A 16″ hoop would be a good size for a door. Florals – I used one eucalyptus stem, three peony stems, and one plum blossom stem from Michael’s. 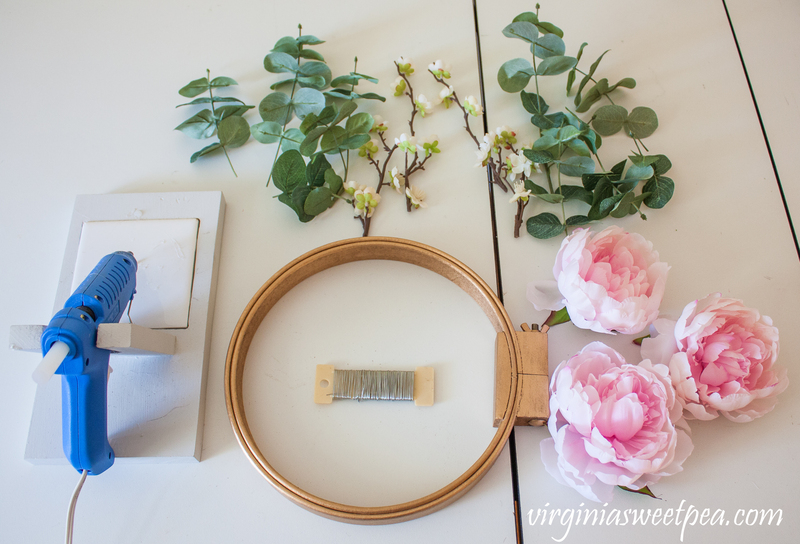 Wire Cutters – I like to use tin snips to cut thick faux floral wire stems. 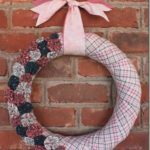 An embroidery hoop’s natural wood color makes a pretty base for a wreath. 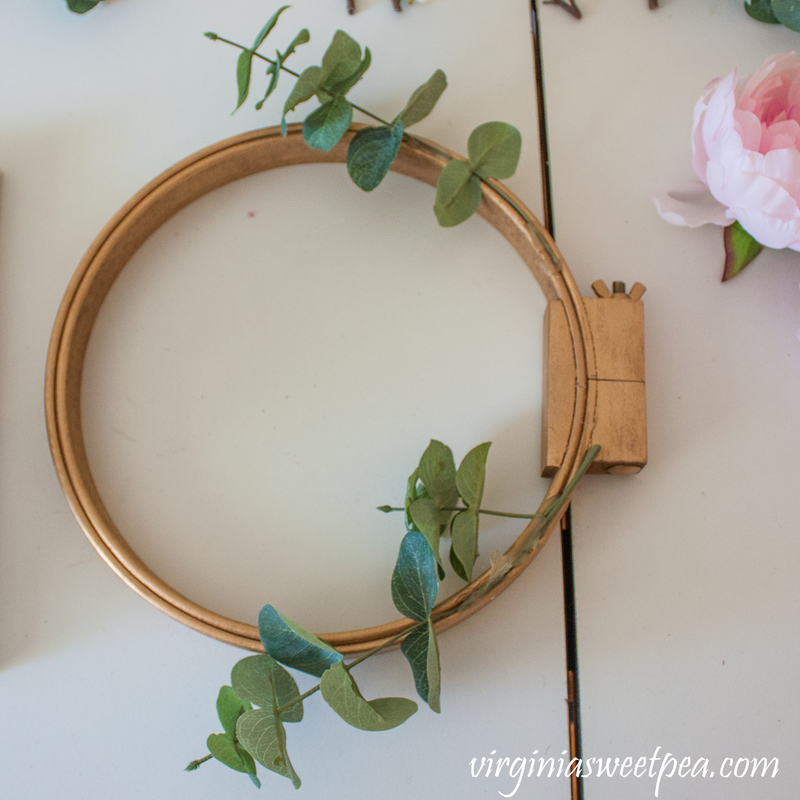 I chose to paint my embroidery hoop gold using spray paint that I had on-hand. Cut the eucalyptus and plum stems into small sections. Cut each peony stem close to the base of the flower. Plan out your design and then glue each stem into place. I started with a layer of eucalyptus. Then I added more eucalyptus. Next I added the plum stems. Then I glued the three peony blossoms into place. After the peonies were in place, I added a few more sprigs of eucalyptus and plum. I was so excited when I finished this wreath that I snapped this picture of it and sent it to my friend. I like how it looks on a solid background and think that it would look great hanging on a door or wall. I used a command hook and fishing line to hang this wreath on my mirror. It wouldn’t hang straight, so I used hot glue to secure it exactly where I wanted it. 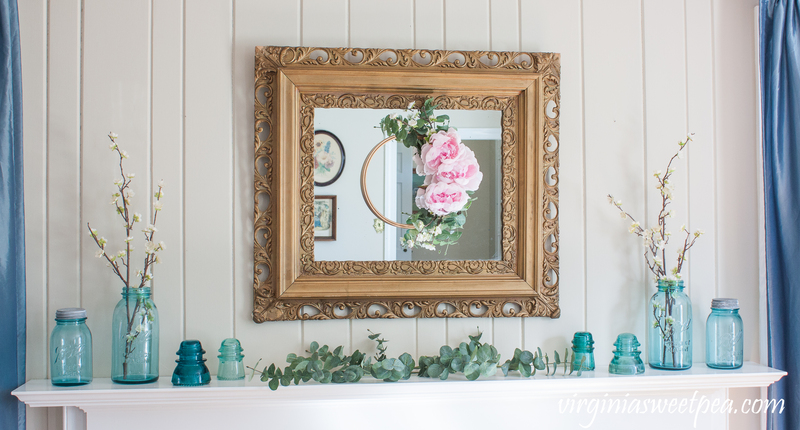 Next week I’ll share more of my spring mantel! 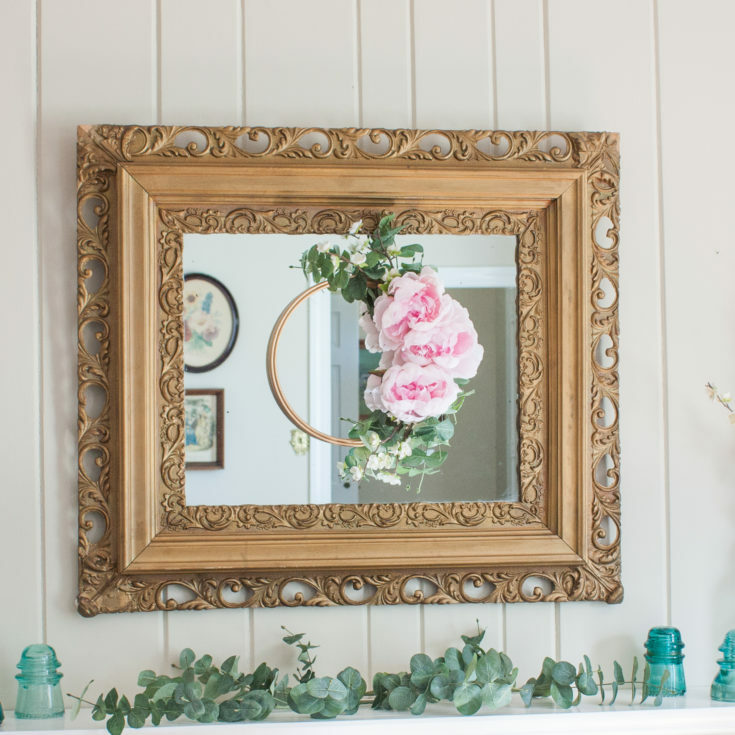 Use an embroidery hoop and faux florals to make a beautiful spring wreath. Paint embroidery hoop desired color or leave natural. Cut eucalyptus and plum stems into small sections. Cut the stem off of each peony blossom. Glue stems into place starting with the eucalyptus. Then glue a few plum stems into place. Glue the three peonies into place. Fill in any empty spots with small eucalyptus pieces. Wow, I love this and would like to link my post to this how-to if you are you okay with that? 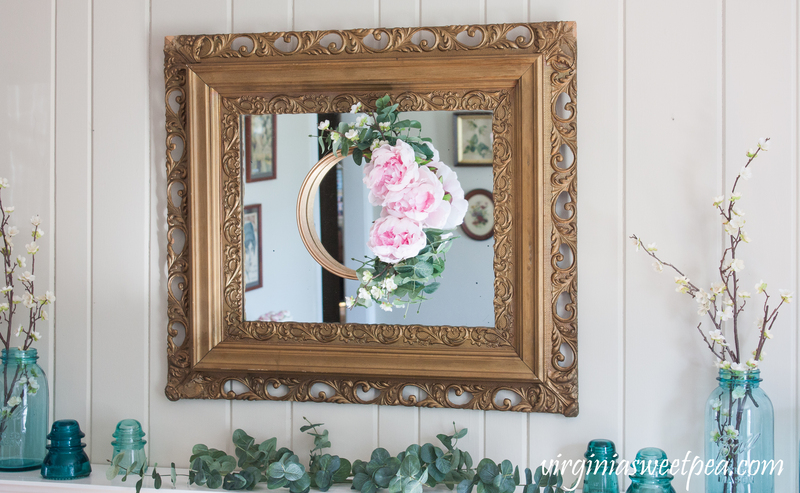 Beautiful idea to add to that stunning mirror! What an adorable wreath Paula!! 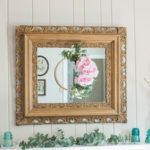 I love that you have it hanging on the mirror and the glue gun trick is so smart!! Happy Spring! 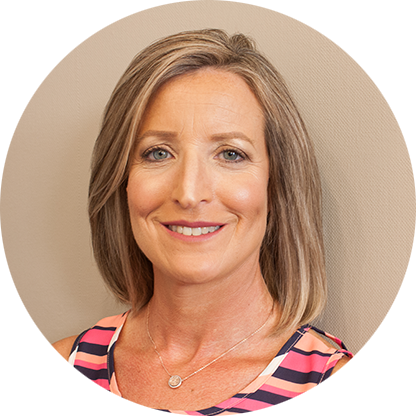 Thank you, Cindy! Glue guns are such a handy tool. 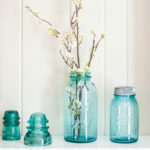 I like how you combined the ball jars and insulators on the mantle. 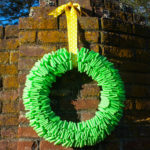 It feels very light which works well with a light wreath rather than one heavy and full. Thank you, Wendy! I love how it looks on the mirror. 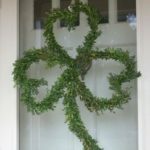 This wreath is so pretty, Paula! it looks like it was made for that mirror. I love the gold tones with the pink. Peonies are one of my very favorites! I recently bought some peony tubers to plant, and they are just about the color of the ones in your wreath. 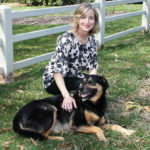 Have you been enjoying the sunshine here in Virginia? I’m still waiting for slightly warmer temps. Hi, Kim! I also love peonies!! There are a bunch here that the former owner planted years and years ago. They are one of my very favorite flowers. Our weather has been so nice and I’ve been enjoying it like crazy. This is so pretty! I’ve always wanted to do an embroidery hoop project but have yet to try one. Thanks for sharing this craft with us at #omhgww! Thanks, Alice! This is my first embroidery hoop project. I have a bag of hoops from the thrift store, so I’ll probably do more in the future. Thank you for alerting me to this problem and for checking later on to make sure that it was resolved. Thank you, Laura! I was so excited when I finished it because I liked it so much. 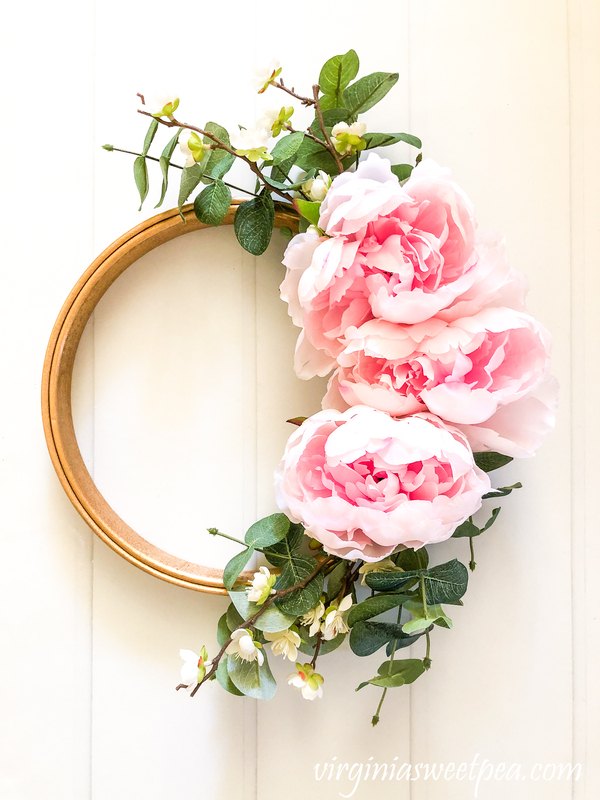 I was excited to choose this pretty wreath as one of my features this week. Thanks for joining us and sharing your project at Homestyle Gathering. I hope you’ll come to join us again! 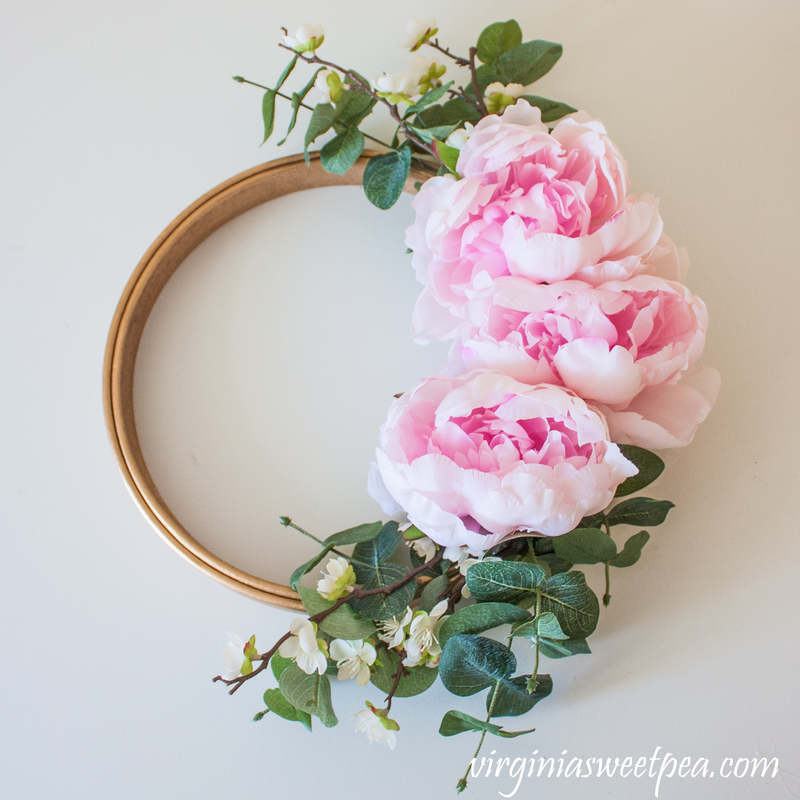 Thank you so much for featuring my wreath this week! 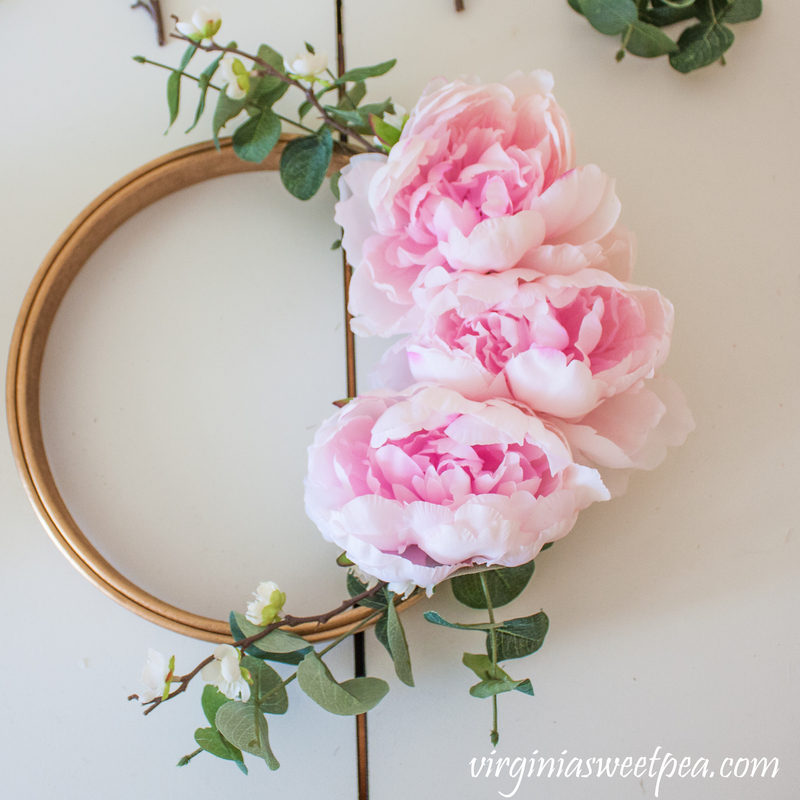 I have been loving the hoop wreaths, and I need to make some of my own. Yours is gorgeous, and you are right – it definitely screams spring. Love it! Thanks so much for sharing at Sweet Inspiration! Thank you, Amy! 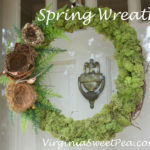 I love making wreaths and this one for spring is one of my favorites. 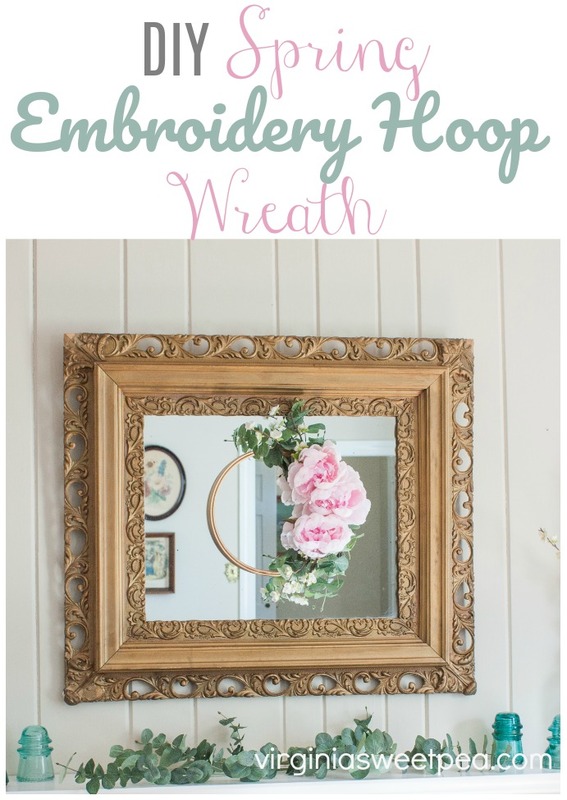 I love this embroidery hoop wreath Paula… so very pretty! Thank you for sharing this tutorial at Create, Bake, Grow & Gather this week. 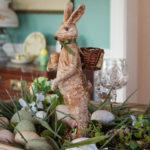 I’m delighted to be featuring it at tomorrow nights party and pinning too. 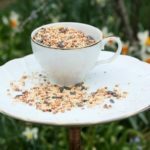 Thank you so much for the feature, Kerryanne! 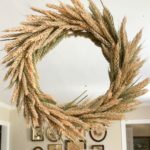 Hi Paula, I’m sorry for the late notice, but I’m popping back by to let you know I’m featuring your sweet wreath at this week’s Thursday Favorite Things party. Thank you so much for sharing with us! I’ve also pinned to the party board and shared on Facebook yesterday. Happy weekend! This is so lovely, Paula! 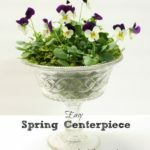 Thanks for sharing at Vintage Charm–pinned!